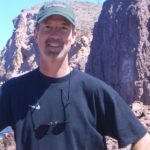 As reported in an earlier post, skiers and snowboarders aren’t content any longer to just cruise down the trails on their mountain vacations. Indeed, many resort visitors find relaxing in a quiet room, getting a massage, enjoying a facial or experiencing a host of body therapies (think seaweed wraps, salt baths, oxygen infusions) are great add-ons to their trip. Here is a continuation of spa choices in snow country. 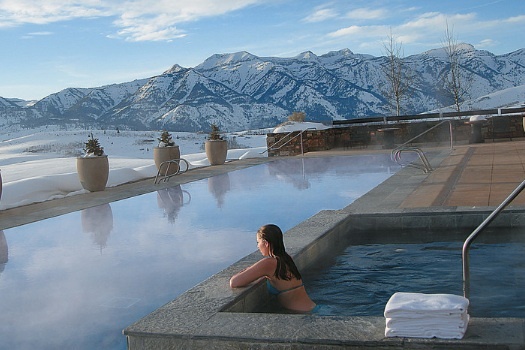 AMANGANI SPA, Jackson Hole, Wyoming—Four treatment rooms, two exercise studios, and separate men’s and women’s steam rooms make a visit here rewarding. Amangani, voted the #1 Ski Hotel in North America by Condé Nast Traveler readers, is a resort whose setting on the edge of East Gros Ventre Butte provides panoramic views of the peaks around Grand Teton National Park. Guests benefit from a spa menu that not only includes a range of massages, facials and healing therapies, but also mud, salt and seaweed body treatments in the wet room. Yoga, Body Shaping, FitBall training, Active Isolated Stretching and personal training are in the Wellness Studio. Outfitted with two ellipticals, one recumbent bike and two treadmills the Fitness Centre invites guests to boost their cardio. 307-734-7333; www.amanresorts.com. AVELLO SPA & HEALTH CLUB, Whistler, BC—Named by SKI Magazine’s 27th annual Reader’s Poll as the number one resort in North America, Whistler/Blackcomb is unquestionably popular. A favorite place for visitors to convene is the Avello Spa & Health Club at Westin Resort & Spa. Offering 75+ treatments, from facials and body wraps to hot rock massages, it is a great spot for re-booting the body and mind. Twenty four treatment areas, eucalyptus steam rooms, a guest lounge featuring a river rock fireplace, and floor-to-ceiling windows revealing mountain views make the spa and health club, which occupies two levels, one of the most dramatic in snow country. The health club has free weights, an indoor/outdoor pool, two hot tubs and gear designed for cardio and resistance training. In-room spa treatments are also available in hotel guest’s rooms. 604-935-3444, www.whistlerspa.com . BACHELOR GULCH SPA AT THE RITZ-CARLTON, Bachelor Gulch, Colorado—A Forbes Four Star-rated resort and spa, the 21,000-square-foot retreat features 19 treatment rooms, a manicure/pedicure salon, and a curated spa menu that includes rejuvenating treatments for couples, expectant mothers, and bride and groom. 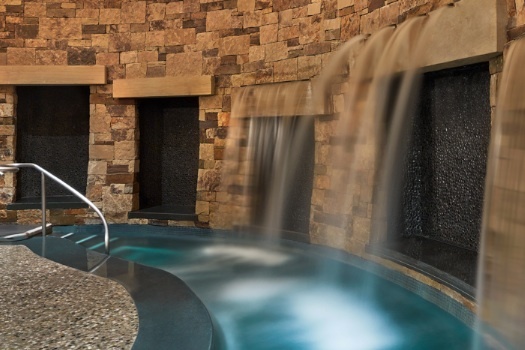 In 2013 the resort topped Travel + Leisure magazine’s 2013 World’s Best Awards list of Top Hotel Spas in the Continental U.S. and its spa wows guests with men’s and women’s rock-lined grottos featuring steam, sauna, hot and cold plunge area and a co-ed rock-lined grotto with waterfall. Treatments like Roaring Rapids, a hydrotherapy massage experience, and Hot Toddy for the Body, a luxurious scrub containing sweet almond oil, jojoba beads and shea butter with the aromatic spices of cinnamon and nutmeg that is massaged into the skin keeps guests coming back. 970-478-6200, www.ritzcarlton.com . BISHOP’S LODGE, Santa Fe, New Mexico—Meaning “vitality and energy” in Navajo, SháNah is how guests feel after visiting the SháNah Spa & Wellness Center near the Ski Santa Fe resort. Six indoor treatment rooms, two outdoor private massage gardens, an outdoor Watsu pool, fitness center and an authentic Native American Teepee for massage and private reflection give guests a portal towards discovering rich Native American customs woven into exhilarating rituals for body and mind. Treatments like the Purification Polish, a body scrub using a blend of blue corn with mineral salts and Aloe Vera gel, the Tesuque Clay Wrap, where a mineral rich clay masque is applied to the body to nourish and detoxify the skin or Desert Fusion, where a custom blend of essential oils is rubbed on your body to leave you felling wholly energized. 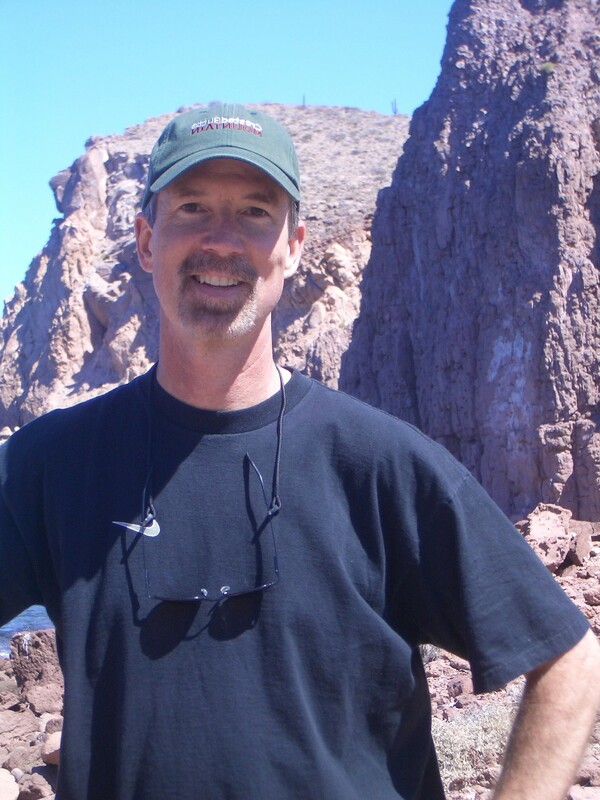 505-983-6377, www.bishopslodge.com. FOUR SEASONS SPA/JACKSON HOLE, Jackson Hole, Wyoming—Recognized among the Top 100 Spa Resorts in the U.S. in a Condé Nast 2012 readers’ poll, this spa invites guests to enjoy a range of massages and treatments to promote relaxation, invigoration and renewal. Of 16 treatment rooms in this luxurious 11,685-square-foot escape, two private suites each have a Swiss shower, fireplace and deep soaking tub. Men’s and women’s tranquility lounges with fireplaces also occupy the space. 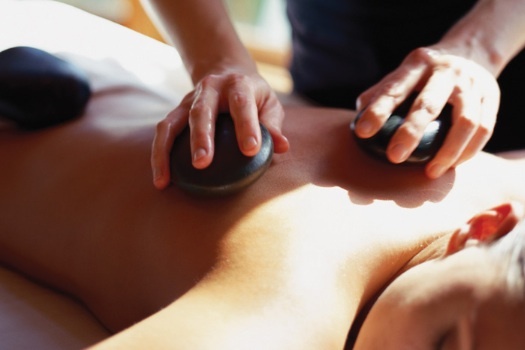 Guests choose from treatments like Native Stone, where warm stones are used in combination with organic oils to bring instant relief to tense muscles and sore joints, Awaken, a full-body brushing followed by a coffee, cinnamon and clay wrap to remove dead skin cells and promote detoxification, and Alpine Berry, where crushed hawthorn berries mixed with strawberry seeds, wild honey and peppermint to bring a skin-smoothing experience. 307-732-5175, www.fourseasons.com/jacksonhole . THE BLOOM SPA, Vail, Colorado—Located at The Sebastian, voted #1 Best Hotel in the West in 2014 in the Condé Nast Traveler Reader’s Choice Awards, the Bloom Spa leaves guests feeling peaceful and rejuvenated. Bloom’s six treatment rooms include four for massages, a couple’s room, and one for facials. Separate men and women’s areas have steam rooms and saunas, and in-suite services are available for hotel guests. Focused on six core areas—Thrive, Nourish, Flourish, Luxuriate, Glow and Refresh—treatments include the “8150 Elevation Attunement,” which includes oxygen inhalation, a high altitude massage and an oxygenating elixir to promote adaptation to the higher altitude of the Rockies. Cardio and strength training equipment by Technogym® also keeps guests fit and trim. A Ski Free/Spa Free Package starts at $288 per person, per night. 970-477-8000, www.thesebastianvail.com/bloom-spa. SPA ANJALI, Beaver Creek, Colorado—Centered on three healing mountain regions—the Alps, Rocky Mountains and Himalayas—Spa Anjali at the Westin Riverfront Resort & Spa offers guests a full menu of relaxing spa treatments. Ranked #8 in 2013 on the “Top 100 U.S. Resort Spas” list by Condé Nast Traveler, the 27,000 square-foot spa recently underwent a major renovation. Guests benefit from a new trio of rejuvenating Chakra Blessing treatments, a unique collection of ancient rituals designed to help to balance energy, clear negativity and create an optimal state of well being. Easy access to the resort’s saline-based outdoor pool and three riverside hot tubs give guests additional ways to unwind and feel refreshed. A state-of-the-art Athletic Club offers an extensive schedule of daily ski conditioning, group exercise, Pilates, yoga and cycling classes. 970-790-3020, www.spaanjali.com . ST. REGIS REMÈDE SPA, Aspen, Colorado—One of only 120 spas to receive a Forbes Four Star Award The Remède Spa had a “facelift” last fall, giving it a hip, modern look. Celebrating its 10-year anniversary, the spa has a number of specials as well as a fun way to après ski—the St. Regis’ traditional Afternoon Tea Service in the relaxation lounge. Named in the Travel & Leisure 2014 Readers’ Choice Survey as the #1 Hotel Spa in the World, it invites guests to experience the Oxygen Lounge, a popular spot for guests to acclimate to Aspen’s altitude. A heated pool and three outdoor hot tub areas combine with treatments like Farm-to-Massage-Table. A twist on the popular Farm-to-Table concept, it uses locally sourced, natural ingredients in a five-course spa experience. 970-920-3300, www.stregisaspen.com . VICEROY, Snowmass, Colorado—From Ute Indian-inspired therapies to contemporary beauty rituals, the 7,000-square-foot Viceroy Aspen Snowmass spa provides guests a wonderful sanctuary. Designed by Jean Michel-Gathy the space has six treatment rooms, including a couple’s suite and a hydrotherapy Vichy showers room. Enriching the spa experience is a meditative relaxation lounge, whose sound of falling water from an infinity pool and waterfall is deeply soothing. Its fitness center, adjacent to the spa, encourages guests to burn calories with Technogym® treadmills, cross trainers, stair climbers, exer-cycles and lateral trainers. Nurturing, rejuvenating and holistic spa treatments are comprised of rituals inspired by ancient Ute, Nordic and Asian ceremonies and culture, as well as traditional massage, facial, and beautification journeys. A slope side pool and 15 percent discounts on all spa treatments before 1 p.m. daily add to the appeal. 970-923-8000, www.viceroyhotelsandresorts.com . WALDORF ASTORIA SPA, Park City, Utah—Recognized by Condé Nast Traveler as a “Top Hotel in Utah” on the 2014 Gold List and listed in 2013 among the “Top 500 World’s Best Hotels” by Travel + Leisure, no wonder skiers and riders are quick to check in. 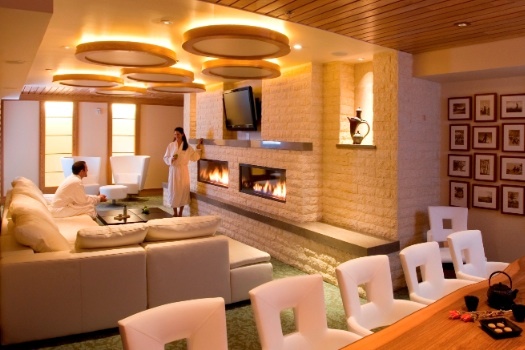 Located at the base of Canyons Resort, the 16,000 square-foot spa includes 15 treatment rooms, including a few specially designed rooms for Thai massage and couples treatments. The state-of-the-art fitness center, kinesis studio, a private STOTT Pilates studio buddy up with a full-service hair and nail salon to entice guests to be place even further under the spell of the Waldorf Astoria magic. Forming the foundations for the spa are ancient Asian influences, environmental attunement and classic European spa techniques. Tea and Fireside Lounges—complete with custom teas—amplify the warm, stress-free environment. 435-647-5500, www.parkcitywaldorfastoria.com . Details: Check with the spas to learn about full day, half-day and multi-day packages and or specials that include a variety of body and skin treatments. Bride-to-be, moms-to-be, new moms and male-centric packages are common as well. Personalized wellness, skiing/snowboarding fitness and nutritional programs are often available (expect to pay a premium fee) and, in most cases, you needn’t be a guest of the hotel to be able to visit the spa. Most spas have an age minimum for guests that is 16 years and older. Gratuities to spa staffers are extra.